My guests again today are J. David Markham, my regular co-host on the much-loved Napoleon Bonaparte Podcast, and his friend of 35 years, a regular guest on this show, Doug LaFollette, the Secretary of State of Wisconsin. 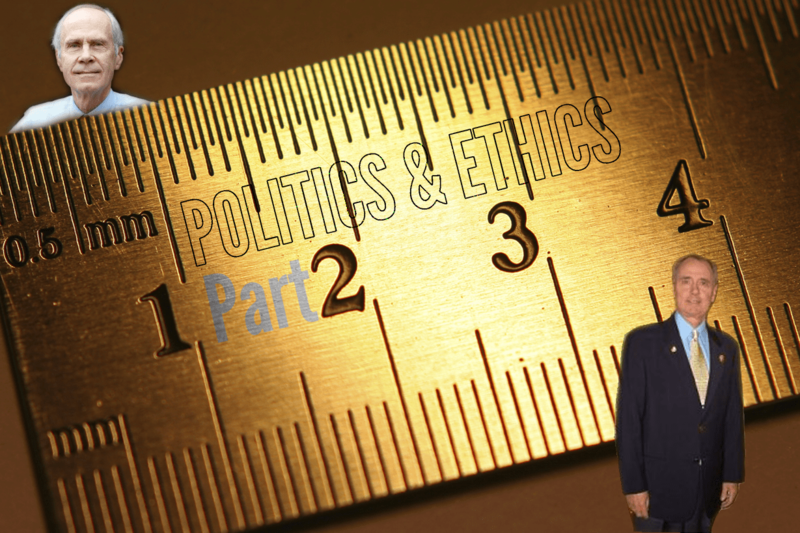 This week I again try to get down to basics – how do we form our political beliefs? Where do our ethics come from? Do we even know? I was reading more of Clive Splash’s writing over the last few days and it struck me why I’m always getting into arguments with people about how we’re handling climate change. The problem, I think, stems from the fact that, to me, our approach to tackling climate change is about ETHICS. And the people I get into arguments with, aren’t talking about ETHICS – they are talking about ECONOMICS. And while ECONOMICS is a subset of ETHICS, the reverse is not true. Ethics examines morality, good and bad, right and wrong, justice, etc. And economics has to be part of ethics. We need to consider how ethical the system of economics in our country is – does everyone have equal opportunity, enough money to afford a reasonable standard of living, access to health care, education, etc. Economics, on the other hand, doesn’t care anything about ethics. Economics just thinks about the production, distribution, and consumption of goods and services. How ethical a particular system of economics is, is not the concern of the study of economics. Unfortunately, I can’t find an ethics portfolio in the Federal government. There is a Treasurer, who worries about the economy, but nowhere to be found is a Minister for Ethics. I think we should have one. The Ministry of Ethics would take the lead on issues such as our treatment of our indigenous population, the handling of boat people, whether or not we should have equal rights for LGBT, and how we handle climate change. And I think, in future, when I’m having debates with people over climate change, I’ll make sure I clarify at the outset whether or not we’re having a discussion about ethics or economics. Produced in Pakistan by the same licensed Fairtrade manufacturer who produces our Certified Fairtrade Etiko sports balls, these sneakers are based on a classic design. They also feature a rubber sole which has been certified sustainable by the Forest Stewardship Council (FSC) …..making the sneakers ethically and environmentally sound. A fair trade premium ensures that the workers who actually produced the sneakers are paid a living wage and are entitled to benefits and conditions which are a rarity in the footwear and garment industries in most developing nations. A trust account that we contribute to helps fund a health care program for the workers and their families as well as a micro credit program for any one that wants to set up their own small business. I originally went to Bliss Ecowear in Paddington to get them but they ended up being almost TWICE as expensive as they were at Happy High Herbs in New Farm. What’s that, the Paddo yuppy tax?